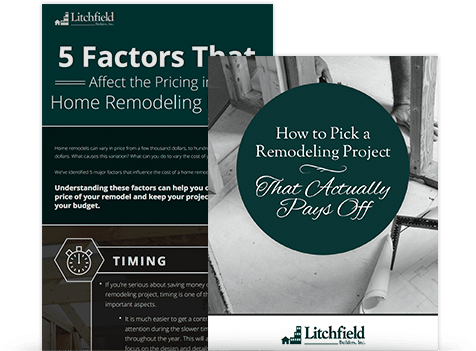 Now more than ever, homeowners have access to seemingly unlimited knowledge, including a range of online tutorials that show a relatively untrained audience how to do everything from change a faucet to conduct a bathroom remodel. Some of these DIY home remodeling projects, like repainting a room, changing a fixture or re-grouting a shower, can be fun and empowering. Yet not all home improvement activities are best conducted by homeowners. Major home remodeling projects should be completed by a professional contractor. As heavy snow continues to plague much of the country, both residential and commercial property owners are becoming concerned with the threat of winter roof collapses. This may remind you and your neighbors of the winter of 2011. Bathroom remodeling is often the farthest thing from your mind. That is unfortunate because remodeling a bath can increase the value of your home and is often an inexpensive home remodeling project. The key to transforming a bathroom is to seamlessly meld function and beauty. Here are a few tips for remodeling outdated bathrooms. Whether your home is under construction or you are planning a kitchen remodel, you need to plan the layout for optimal traffic flow. Here are a few of the top ways that you can optimize your kitchen layout to avoid poor flow.